Andy Velebil, jdaw1 and me will be at the Crusting Pipe on the evening of Sunday 3rd April for some pre-FG training. 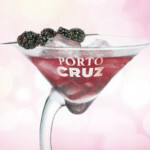 If you would like to join us for an informal evening of port and dinner please post here. The theme is "Bring a bottle of Vintage Port wrapped in foil". I will try to be there! If you are planning evening (rather than late afternoon), I will be there. I leave London early saturday morning (6.00-7.00a.m.) and arrive back at 5.00p.m(ish) on Sunday - I can be there by 6.00-6.30 but don't know if you had something earlier planned. Of course, this throws up a decanting problem - has anyone tried leaving port ahead of time with the Crusted Pipe for them to decant on the day? - is anyone visitng BBR over the weekend (i can arrange for a nice bottle to be picked up...)? JacobH wrote: I will try to be there! RAYC wrote: If you are planning evening (rather than late afternoon), I will be there. Lots of questions from RAYC! This is an evening event so a 6:30 arrival is ideal. I haven't tried leaving a bottle for TCP to decant but I know that Davy's Cellar would be happy for you to call ahead and buy one from them (at retail price) and have it delivered to TCP ready to be decanted. Andy, Julian and I are staying very close to the hotel so can cope with the decanting if TCP aren't prepared to do that for you. Or I can collect a bottle from your office on Tuesday 29th March and hand it over to Derek along with other bottles for the main event. DRT wrote: The theme is "Bring a bottle of Vintage Port wrapped in foil". AHB wrote: Or I can collect a bottle from your office on Tuesday 29th March and hand it over to Derek along with other bottles for the main event. If this works for Derek as well, that sounds like a great solution. I am not busy at work at the moment so can get out during the day to meet up anywhere in/around city - no need to trail over to my office. Though Davy's do look like they have a nice price on RO '82 at the moment...perfectly stored since being shipped...will leave it to Derek to decide. RAYC wrote: Though Davy's do look like they have a nice price on RO '82 at the moment...perfectly stored since being shipped...will leave it to Derek to decide. Please, Tuesday 29th and not Friday. Rob - I'll drop you an email with some thoughts of where and when. AHB wrote: I was reminded that if we want rib-eye on the bone we can order them in advance when we book the room! Yes please and yes please! I am quite confident that Julian will cope with an on-the-bone rib-eye as calmly and efficiently as I will. I am equally confident that Jacob will not. I am unsure whether or not health-conscious Californians are capable of eating enormous lumps of cow that are still attached to the skeletal remains so Andy will have to speak up for himself. As there are only five of us I would suggest the Boardroom rather than a tunnel. Boardroom and rib-eye steaks booked. Tunnels currently available if more decide to join. DRT wrote: I am quite confident that Julian will cope with an on-the-bone rib-eye as calmly and efficiently as I will. You set a high standard, but I will not fall short. Placemats? Have people published what they are bringing? And will we be able to have a G70 versus G80 comparison? jdaw1 wrote: Have people published what they are bringing? And will we be able to have a G70 versus G80 comparison? Would make the silver foil redundant, but personally I am easy whether this is a "guess the bottle" tasting or something more co-ordinated. I would certainly never turn my nose up at either a G80 or a G70! Since you and Andy are the ones travelling from overseas, would leave it to your collective call. If a G theme is preferred I can add a 77. I have G80, but not ’70. Indeed I’d be happy to have the G80 and G70 from multiple different sources. A micro-vertical, as it were. Why Graham 1980 and 1970? In reply to which a the moderator (Cynthia, probably) wrote: Spoke with Charles and showed him this comment. He disagrees with your assessment of the 1980 ”“ he feels it is certainly NOT a lightweight, but actually a fantastic wine, better than the 77 and every bit as good as the 1970; a different profile, but similar weight. I can certainly source a G'70 as had been looking to acquire one to hold in my cellar anyway. Would we want a mini G'70 - G'85 line-up if we were going down this route? Davy's have the '83, and i seem to remember Jacob acquiring a G'75 as well, though that might have been polished off by now...! I'm still open to the tin foil bring a bottle theme if a G vertical is a bit mainstream for anyone and/or we wanted a bit of variety before the monster vertical the next night. Last edited by RAYC on 21:52 Sun 27 Mar 2011, edited 1 time in total. My strong preference is complete informality on 3rd April. First draft of the placemats. Title = Graham and Friends. DRT wrote: My strong preference is complete informality on 3rd April. RAYC wrote: Davy's have the '83, and i seem to remember Jacob acquiring a G'75 as well, though that might have been polished off by now...! A single bottle which was given as a Christmas present, I’m afraid, and now demised.